We love timelines. 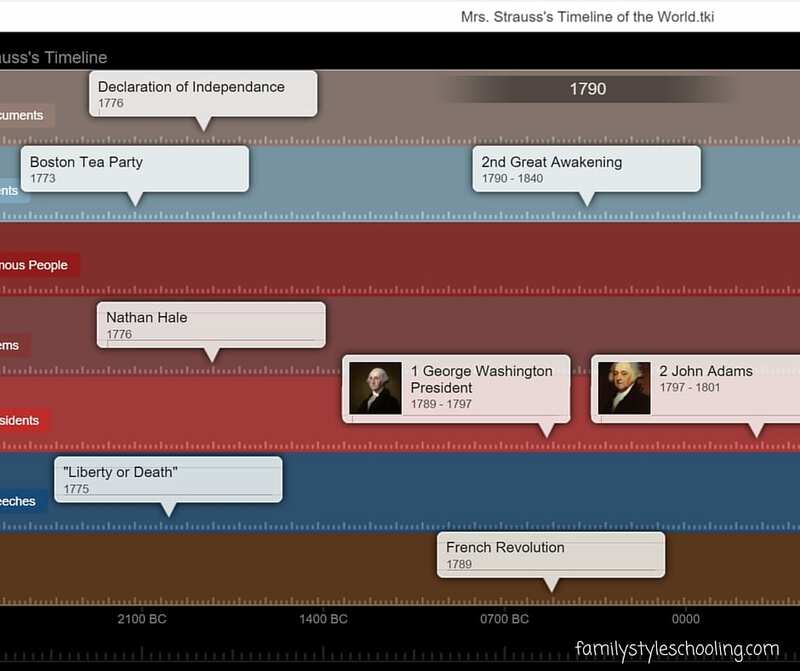 In our first year of Classical Conversations, we memorized the timeline from Veritas Press. Then a couple years later, the CC timeline changed, and we've enjoyed learning the CC Acts and Facts timeline. Since my son has started the CC Challenge program, we are continually building timelines of the people we learn about and the books we read. With so many timelines floating around, we have struggled with finding the perfect way to keep them all together. Enter the Tiki-Toki digital timeline software. This post may contain affiliate links. See my full disclosure policy for more information. Disclaimer: this post has not been sponsored by Tiki-Toki. I just love the program and how it's helping our family be timeline minded, so I wanted to spread the word. Even though we have tried our hand at several paper timelines, like The Timeline Book, I was never satisfied with the end product. If this grand timeline of their studies is to be something they will use throughout their school career, their 5th or 6th grade handwriting might not stand the test of time. 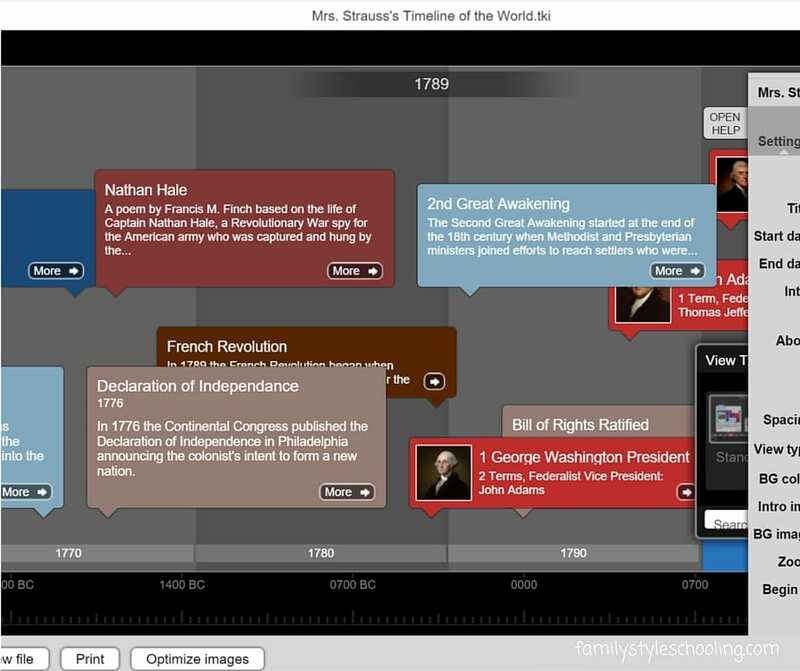 With a digital timeline maker, your students can type in their facts and adjust them along the way as needed without needing to do the whole project in pencil. Additionally, each child can have their own timeline to work on and adjust the color scheme with their current preferences with a simple click. 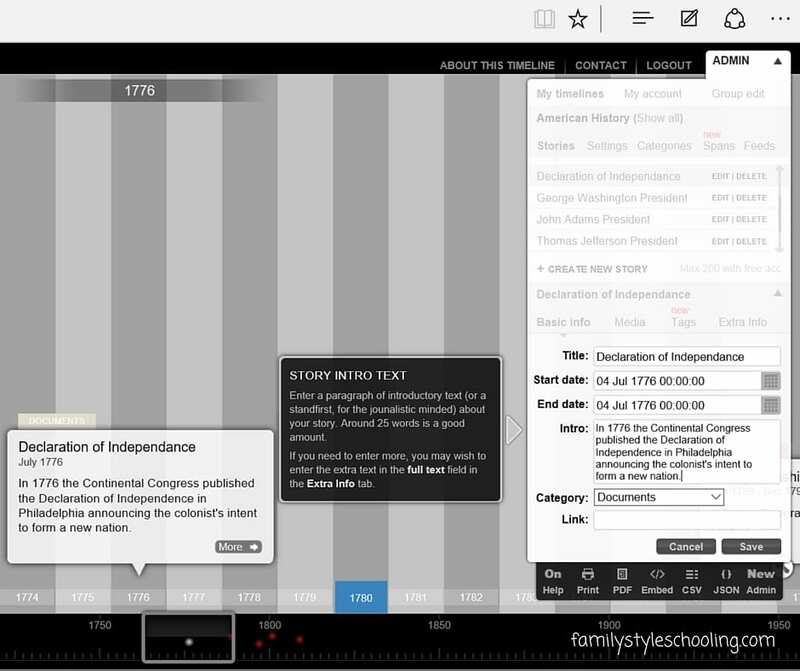 I'm having my 6th grade daughter add the CC Acts and Facts timeline to her digital timeline so that as she enters the Challenge program, she will have her foundations memory work in a format where she can add in new ideas in a visual way to the pegs she has memorized. She is loving playing with this program. I've asked her to add in 20 stories a week, and for each story to add in a fact that is interesting to her. As she gets older, she might edit the information she has listed, but if not, she's reading the backs of the timeline cards, and that is a bonus to me! We found a fun new way to play with a timeline...this girl is hooked! Her super cute timeline with selected facts. Tiki-Toki has two platforms: an online app and a desktop app. 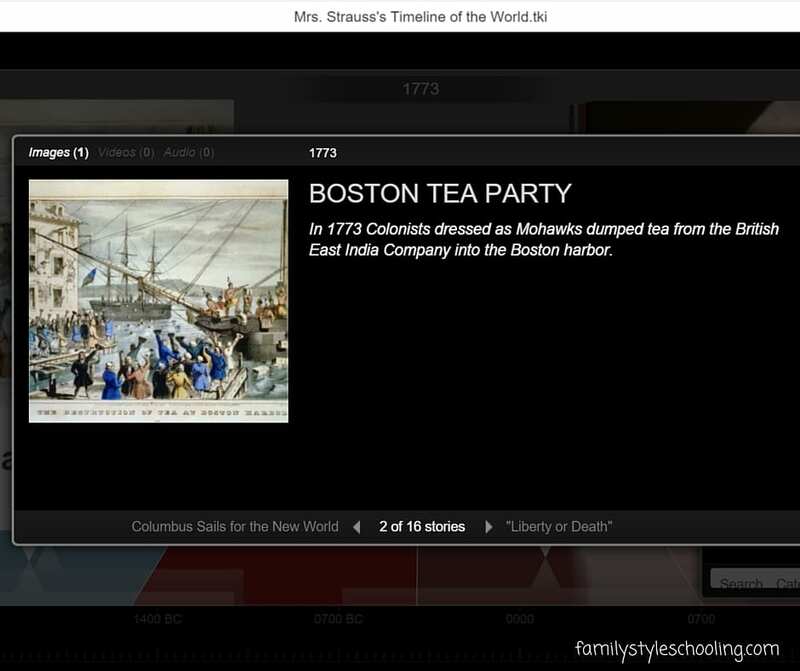 The online app is free and you can create a timeline with up to 200 stories. After 200 stories, you can upgrade for a monthly fee to add more features. 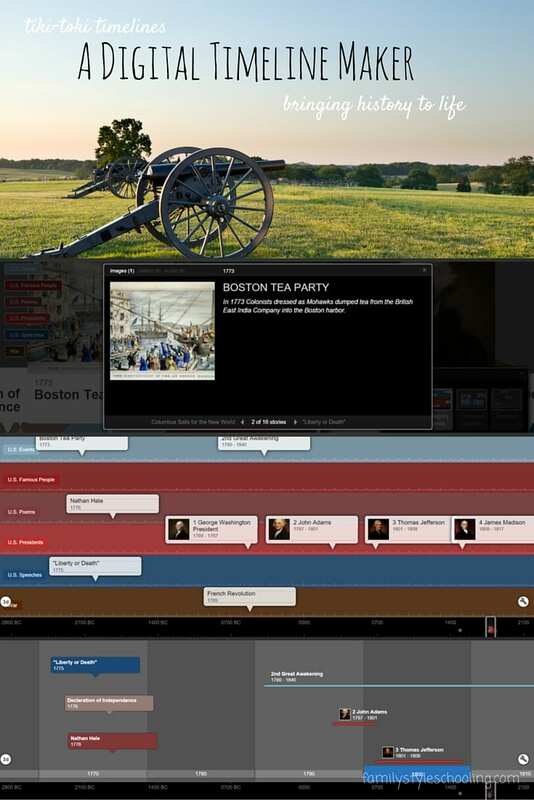 Since we are looking at creating one grand timeline to rule them all, we opted for the desktop app ($24.99). With so many options for arranging your timeline, you will never be frustrated with your final product again! The best way to learn the program is to just get in there and try it! Here's a sample of the way you view your timeline in 3D. There are so many wonderful videos on youtube that offer help in getting started and making the most of all of the features of this great program. 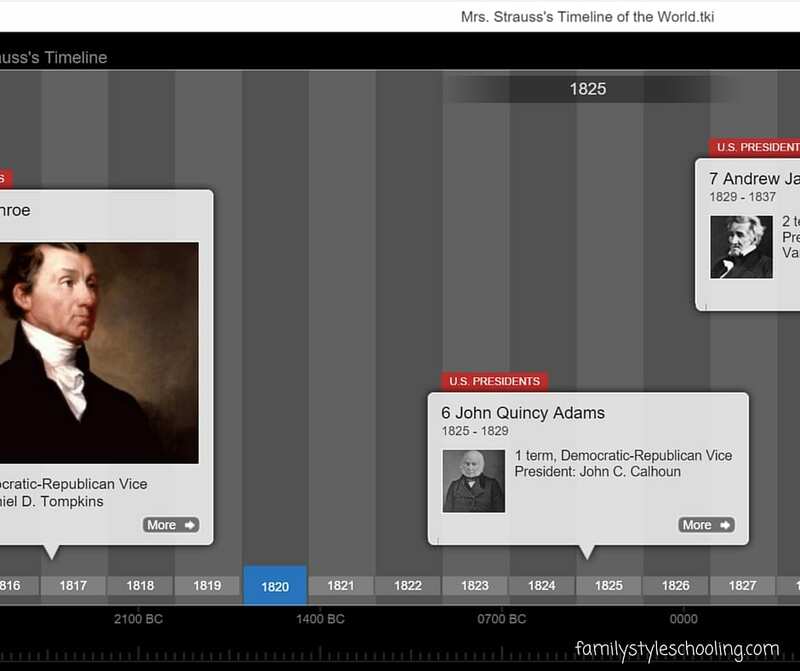 What do you use to create timelines at home? Wow. I am 1/2 inspired by this and 1/2 intimidated. One of my favorite things about CC is the timeline. My own education is lacking the structure of a timeline so it is fascinating to me. I think its so important! I think I will give it a try! Thanks for sharing. My Challenge I student has a timeline book that she has entered things into. For the end of the semester timeline she took those events – put them in a Google Doc, added pictures for each one, and she has a timeline. It’s worked well for her, but this timeline maker looks interesting. Thanks for bringing it to my attention! I think it is so fun to keep timelines. It’s amazing to see how things fit together. I think the most important thing is finding something that works and keeping up with it!